Every week between now and January 14, when the nominations are announced, Vulture will consult its crystal ball to determine the changing fortunes in this year’s Oscars race. Check back every Friday for our Oscar Futures column, where we’ll let you in on insider gossip, confer with other awards-season pundits, and track industry buzz to figure out who’s up, who’s down, and who’s currently leading the race for a coveted Oscar nomination. The great experiment begins! 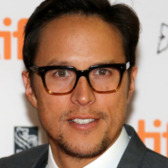 Cary Fukunaga’s wartime drama is pulling in great reviews, but will the film’s day-and-date Netflix debut be considered a debit? At the Beasts premiere this week, Netflix head Ted Sarandos told me he thinks the streaming format will actually spur more voters to watch it: While others films could get lost in a stack of screener DVDs, Beasts will show up every time Academy members launch Netflix. Let’s see if that persistence pays off. The journalism drama scored at Toronto, but in this week’s lead-up to release, some critics came out swinging: The Daily Beast ran an accusatory headline stating that Truth “lies about good journalism,” the Los Angeles Times called the film “plodding,” and inevitable comparisons to Best Picture front-runner Spotlight — another journalism drama — weren’t so flattering. Truth is “Spotlight for dummies,” said Flavorwire’s Jason Bailey, who also called it “simplistic, pedestrian swill.” Yikes! The Emmy-winning director is hotter than ever right now, and the poor reviews for the Fukunaga-less season two of True Detective only burnished his X factor. Netflix enlisted past Oscar winners Ben Affleck and John Legend to make the case for him at a crowded premiere and party this week in L.A., and Fukunaga doesn’t lack for categories to circle: In addition to directing Beasts, he also wrote, produced, and shot it. 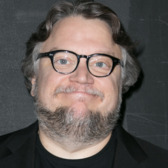 In 2007, Oscar voters flipped for Del Toro and gave his masterpiece Pan’s Labyrinth six significant nominations and three wins. Del Toro’s newest effort, Crimson Peak, is certain to contend for a few below-the-line nods, too — the film’s dazzling costume design and production design seem like sure bets — but reviews are too mixed for Crimson to seek gold for Del Toro himself. 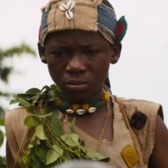 The 14-year-old Atta gives Beasts its soul as the movie’s child soldier, but while Academy members have proven willing to reward young girls like Quvenzhané Wallis and Abigail Breslin over the last decade, they haven’t paid much attention to boys since Haley Joel Osment in 1999’s The Sixth Sense. 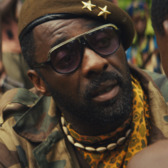 Especially in a category like Best Actor, which tends to skew older, Atta has a tough road ahead of him. While Truth will be polarizing this season, it does offer Blanchett a juicy role that is “one of her greatest screen performances,” as Stephen Holden wrote in the Times. Her portrayal of besieged 60 Minutes producer Mary Mapes is also, on its face, different enough from Blanchett’s Oscar-winning Blue Jasmine performance that it could convince voters to pick it over Blanchett’s superficially similar work in this November’s Carol. The movie venerates CBS news icon Dan Rather, and it smartly chose a just-as-revered movie icon to play him. 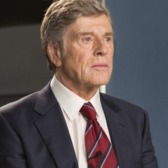 Yet Redford, who barely changed up his look and delivery for the distinctive Rather, doesn’t exactly disappear into the role. Chastain’s got the meatiest (and the bloodiest!) role in del Toro’s gothic romance, but if she couldn’t push her way into this category last year for her flamboyant turn in A Most Violent Year, I think the odds are even longer for this genre play. The Wall Street Journal’s Joe Morgenstern calls Allen a “welcome presence” in Room’s second half, and I think that’s exactly what voters will respond to: the twice-nominated actress’s subtle warmth and intelligence. The only question is whether Allen may be crowded out by the more sizable performances jockeying for a supporting nod, like Rooney Mara in Carol, Alicia Vikander in The Danish Girl, and Kate Winslet in Steve Jobs.